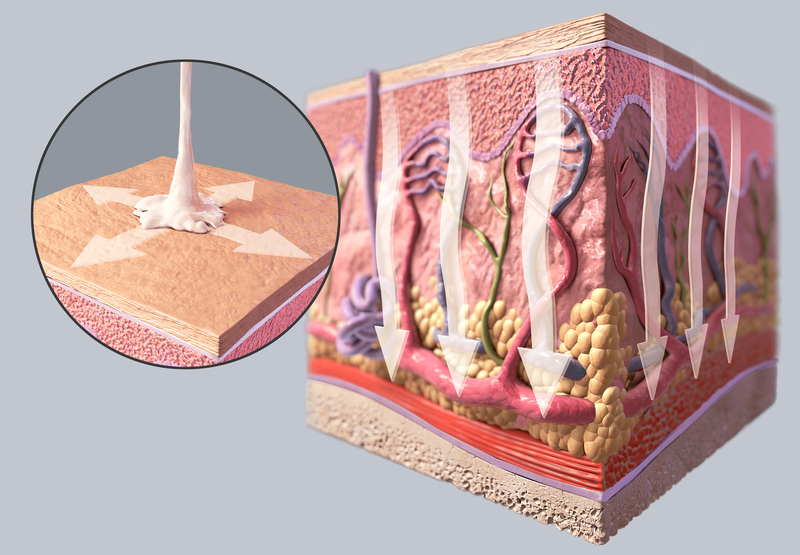 A graphic representation of skin moisturizer. Moisturizers can protect sensitive skin, improve skin tone and texture, and mask imperfections. Here, the moisturizer can be shown penetrating the epidermis, down to the dermis layer.